About a month ago, my husband spent a few days in California on business. When he returned home, he had a bag full of about 6 enormous Meyer lemons with him. “Here. Don’t these look amazing? !” he asked. He then proceeded to tell me that they probably needed to be used within the next few days. Umm…thanks? So, I chose to put my own spin on the age-old saying. 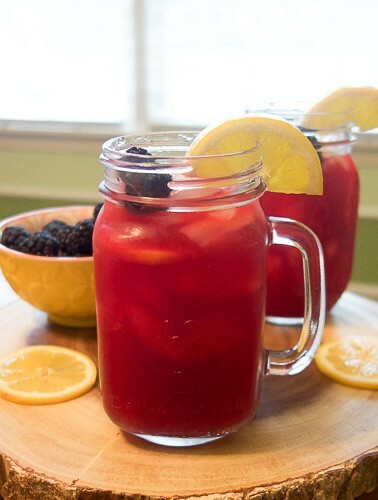 I decided, “When your husband hands you lemons, make blackberry lemonade!” Ha! Truthfully, we don’t use a lot of lemons around our house. We were also in the midst of a very busy season, so I didn’t feel like I had time for anything really involved, such as a pie or custard, etc. With the weather warming up though, I thought lemonade would be perfect. Personally, I am a bit partial to more fruity lemonades, so I decided to give blackberry a go. I was amazed at how simple it was to make, and it turned out absolutely delicious! 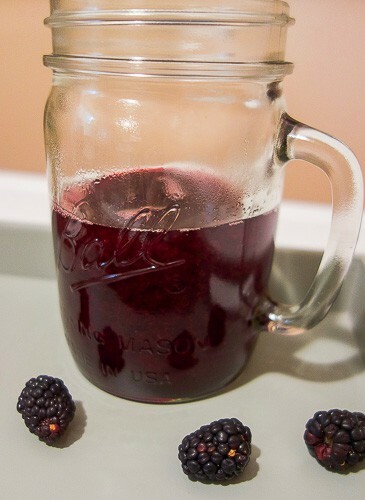 First up, make a blackberry simple syrup. Simply heat the sugar, blackberries, and water in a medium saucepan over medium heat. Simmer for 10 minutes. (Reduce heat if it starts to boil.) 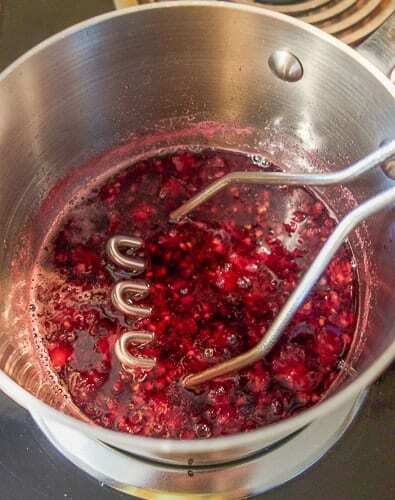 Remove from heat and smash blackberries with a masher. Allow to cool for 10 minutes, then pour through a mesh strainer into a cup or bowl. Use a spoon to push as much liquid through the strainer as possible. Use immediately, or store in a sealed container in the fridge. An easy, delicious, and fruity simple syrup. 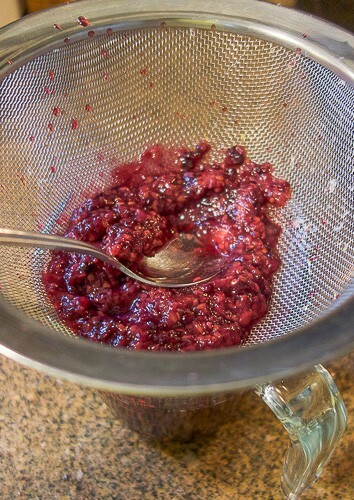 Remove from heat and smash blackberries with a masher. Allow to cool for 10 minutes, then pour through a mesh strainer into a cup or bowl. Once the simple syrup has been made, all you need to do is mix it together with 1 cup of fresh squeezed lemon juice and 4 cups of water. I thought that the simple syrup made this lemonade plenty sweet, but you can always add sugar to taste if you like yours a bit sweeter. Thank you so much! I hope you all enjoy it! It’s been a little while since I made it, and I’m totally craving it now that this post has gone up. 😀 Thanks for sharing! Hi, Amy. I’m over from Jen’s blog. I’ve been to Hawaii twice and am planning on another trip in 2018. Lovely place to relax and explore. 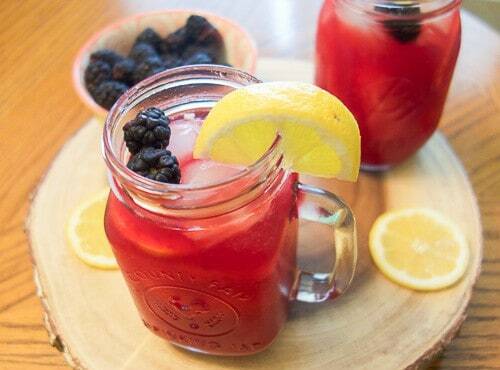 Love the blackberry lemonade. I’m going to try this. Thanks so much for taking a look! Hawaii is fabulous, isn’t it? I’m totally jealous of your 2018 trip. I’m hoping that we can get back for a visit before too long. Enjoy both – the trip and the lemonade! It is easy to take things for granted that we have at our disposal. Honestly, I had never really made lemonade myself until I decided to try this out. It was so easy! I had some lemon juice leftover and after the blackberry was gone (which didn’t take long), I used the rest to make regular lemonade. That was even easier, and so good! Thanks for taking a look! 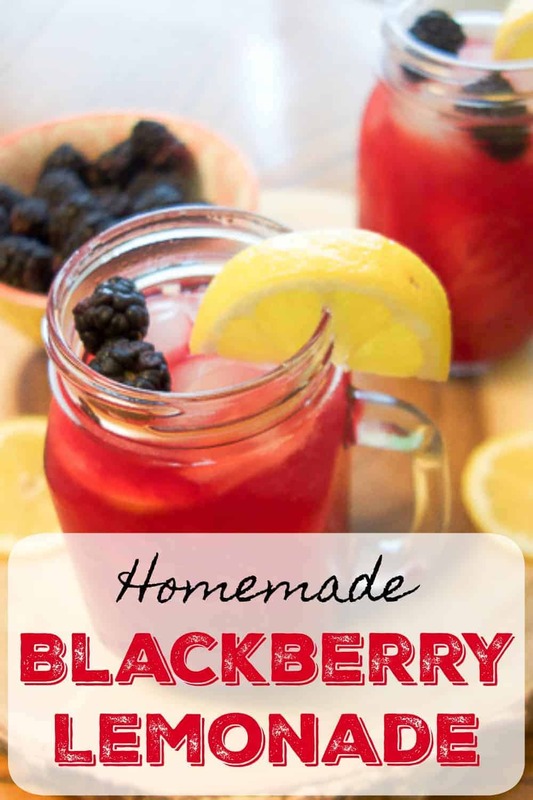 I’m not real big on just plain lemonade, but this sounds delicious with the added flavor of the blackberries. Oh, I’m jealous that you have your own blackberries. My daughter could eat her weight in blackberries in one sitting. 🙂 I hope you enjoy this if you get a chance to try it. Thanks so much! I love this recipe! So simple! Lemonade is one of my favorite summertime treats. Thanks for sharing this with us as part of the Spectacular Summer Blog Hop! It’s one of my favorites, too! And it’s a little dangerous now that I know how easy it is to make. 😉 Thanks so much! Blackberries are just starting to ripen up here – this will be a good way to use them! Thanks for sharing on the What’s for Dinner link up! This recipe looks like it would be absolutely delicious and refreshing for hot summer days. 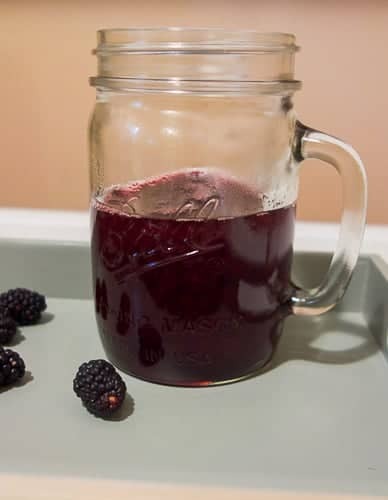 Thanks for the blackberry simple syrup recipe. Yes, it’s perfect for the heat! I may have to make some more sometime soon, as temperatures have started to soar here. Enjoy! My daughter is obsessed with lemonade recipes. I will definitely be sharing this one with her. Right?! It was definitely delicious, and so easy to make!